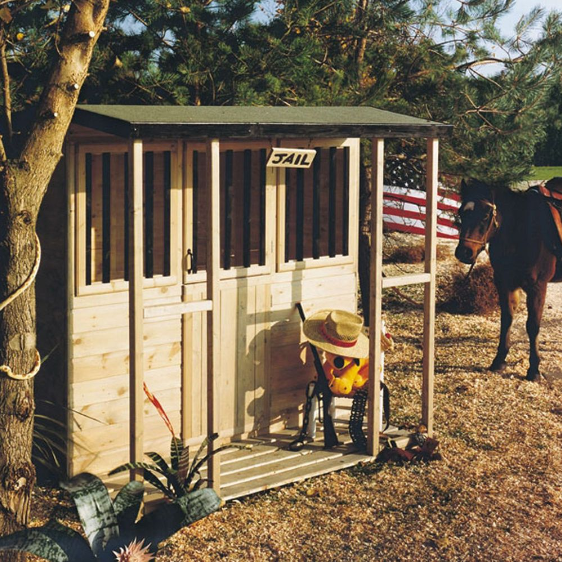 For generations, young children have yearned for a playhouse to call their own. Virginia Woolf wrote that every writer needed A Room of One’s Own: a place to create, to think, to be themselves. Why not every child as well? Here are six reasons your child needs a playhouse. Every child needs a space of their own, especially in our busy modern world. 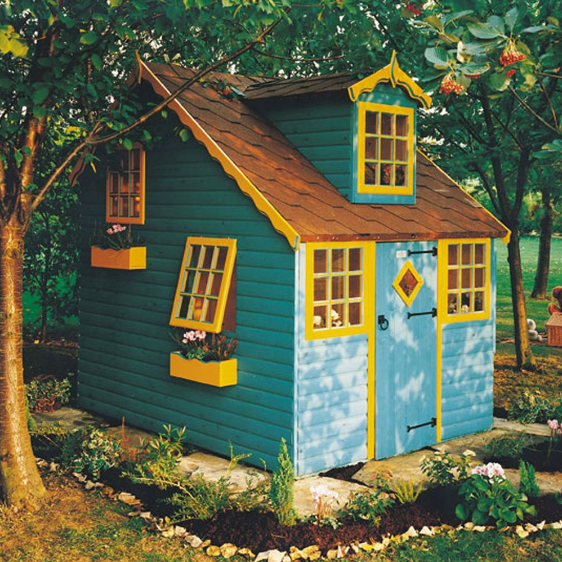 A playhouse can be somewhere to think, to be yourself, to imagine, to play, to own and enjoy, and to relax in. It can be enjoyed on your own, or with brothers, sisters and friends, and has a host of physical and psychological benefits. 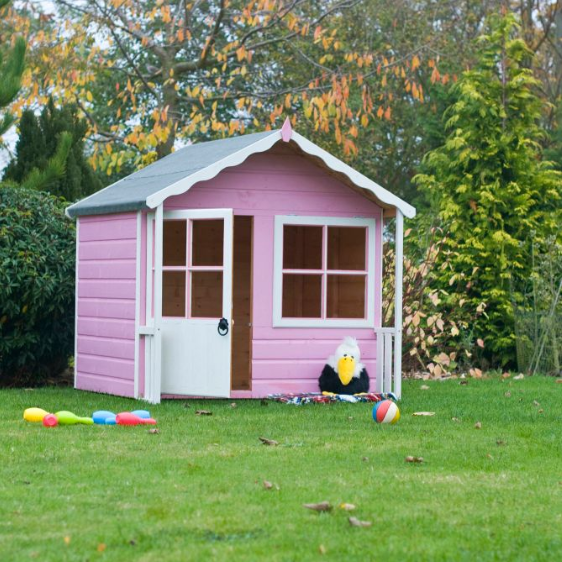 All playhouses featured are available from B&Q. Before your child even begins playing in their new house, they can think about how to decorate it. Whether they choose a theme, such as princesses, pirates, Wild West or under the sea, or go for stripes, spots, butterflies, their choice of colour, design and pattern is a fantastic chance to be creative. You could ask them to draw some ideas out before deciding on a finished design, and certainly make sure they get involved in the painting. What a great way to have ownership of their creation! Play is children’s work, it’s how they make sense of the world, playing out everything they see around them, the situations they have been in, their ideas, aspirations and problems. 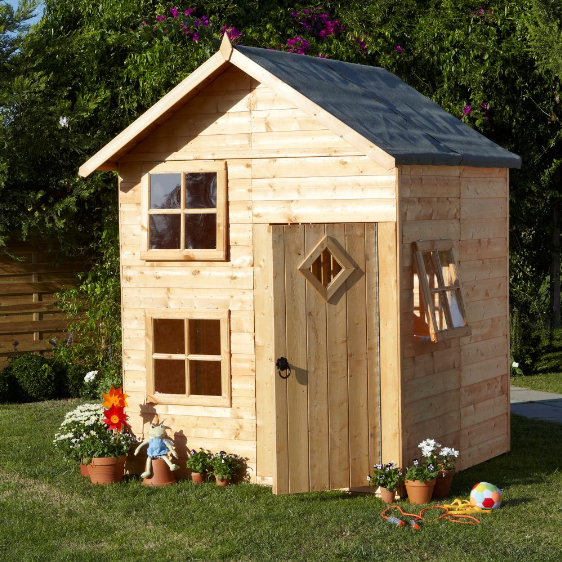 In a playhouse, they can create their own domain, be it classroom, home, shop, post office, anywhere. 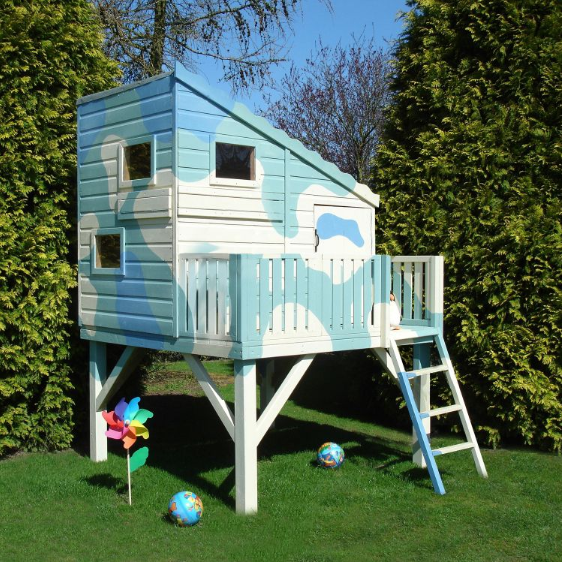 The perfect starting block for endless role play fun and adventures. Most children will also naturally accept the responsibilities that come with their new domain, actively choosing to keep it clean and tidy. It’s their space after all. Being outside, away from their parents is also a brilliant opportunity for free, unstructured play, something today’s children don’t get enough of. They will need to develop conflict resolution skills with siblings or friends, to use their imagination, and to be creative. Don’t provide too much stuff, so that children can use their imagination and creativity to find or make any objects they need for their play. This can enable children to create their own imaginary worlds from almost nothing, that children then explore in a truly visceral, physical way. Being outside has untold benefits for the body, from simply being in fresh air, to being surrounded by nature. And sunshine offers the added benefits of vitamin D too. Being outside will keep children active too, helping combat a sedentary school day, or the menace of screentime! Being free to create their own games, miniature worlds, rules and regulations, enables children to try out different emotions and feelings, to challenge themselves, and ultimately to prepare for their adult life. 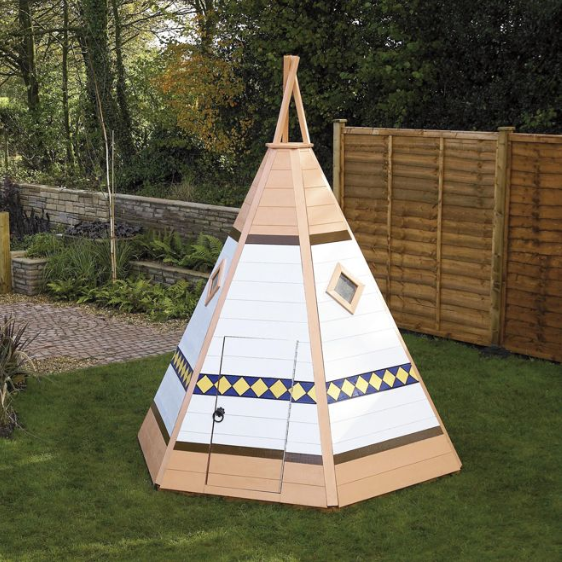 As well as being a child’s own space, it is somewhere they can welcome other people their own size. Provide drinks and snacks, real or imaginary, and they have the opportunity to play out the social actions they have seen in the adult world. What better way to practice the social graces than through their own polite society! 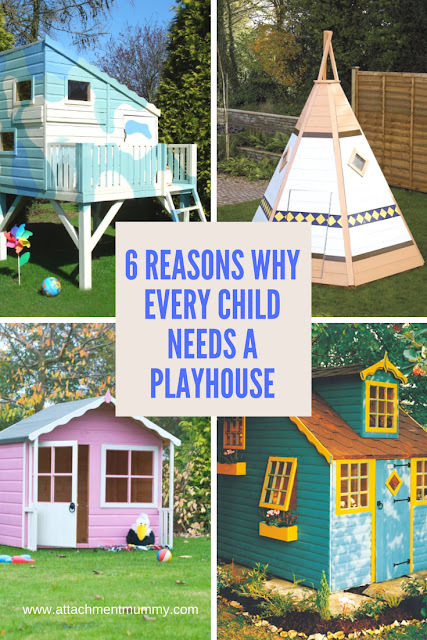 A playhouse makes an amazing space for children’s imagination, play and development, and can be a great way for children to develop a sense of ownership and responsibility. The perfect gift for any child!